Investing.com – The U.S. dollar was on track to post a weekly loss against its rivals as mixed U.S. economic data weighed on sentiment and ongoing euro strength curbed upside momentum. The U.S. dollar index, which measures the greenback’s strength against a trade-weighted basket of six major currencies, fell by 0.25% to 94.30 after trading as high as 94.55 in the session. Mixed U.S. economic data did little to encourage traders to return to the greenback, as a preliminary reading of services PMI for June topped expectations, while manufacturing PMI data fell short. 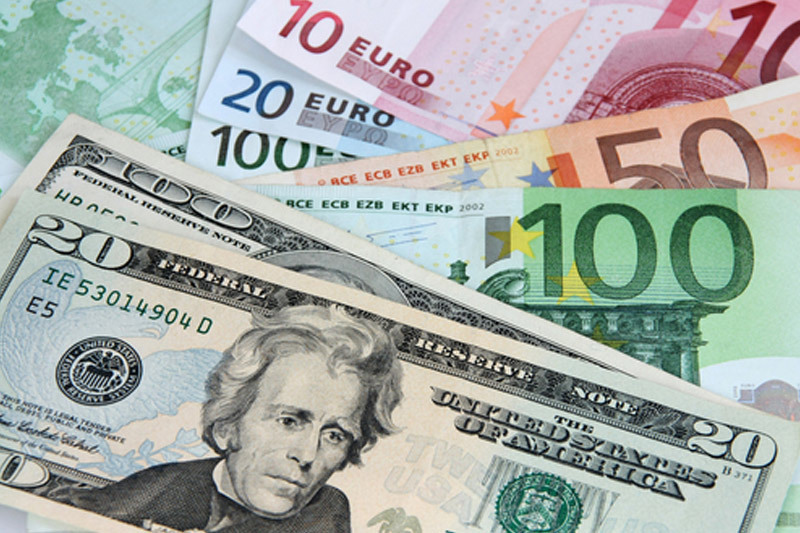 The euro continued its comeback against the dollar from an 11-month low seen Thursday, buoyed by composite eurozone purchasing managers index survey readings that topped economists’ estimates. The single currency had suffered a slight wobble before paring losses after U.S. President Donald threatened a 20% tariff on all car imports from the EU. This comes less than a day after the EU’s retaliatory tariffs on imported U.S. goods came into effect late Thursday. EUR/USD climbed 0.37% to $1.1646. USD/CAD held firm, rising 0.05% to C$1.3321, as Canadian inflation data underwhelmed, raising doubts about the prospect of a July rate hike. Losses in the loonie were limited, however, by soaring oil prices after OPEC struck a deal to lift crude output. GBP/USD, meanwhile, added to its recent gains, rising 0.20% to $1.3268 as the Bank of England’s hawkish tilt Thursday continued to support the pair. USD/JPY fell 0.05% to Y109.93 as safe-haven demand stoked a bid in the yen amid lingering trade tensions.